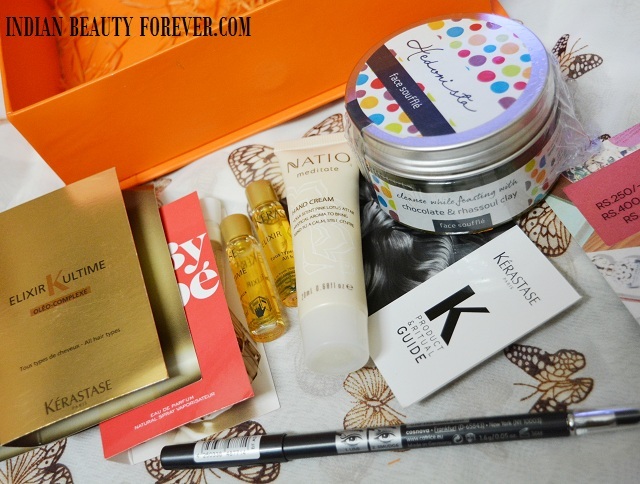 June month's My Envy Box has arrived and this was a bright orange box filled with some really good to try samples. By the way, let me share some good deals for you. If you have been thinking of subscribing for My Envy Box, you can save some extra bucks with these deals. You can get 250 Off on 3 month’s subscription by Using ENVYLOVE3 and Get 400 rupees off on 6 month’s subscription by using ENVYLOVE6 and 1000 rupees off by suing NV1YEAR on 1 year’s subscription of MY envy Box. 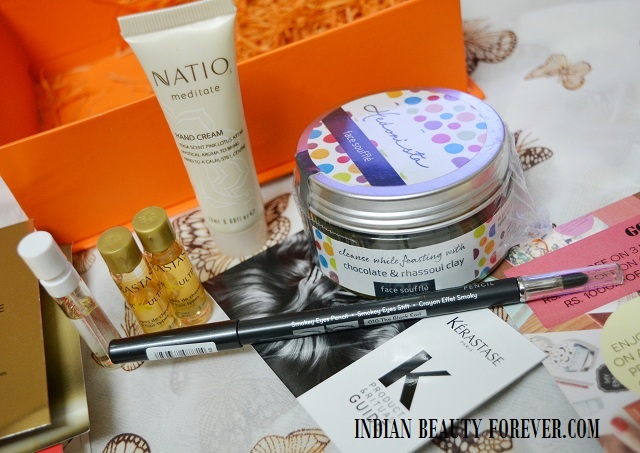 Let’s see what are the products they have include in this month’s box. It’s a hair serum with nourishing oils that tames the frizzy hair and adds shine. It has a wonderful subtle fragrance which is amazing. . It can also be used on the hair ends. I have already used this product when I was at Geetanjali for a hair cut. 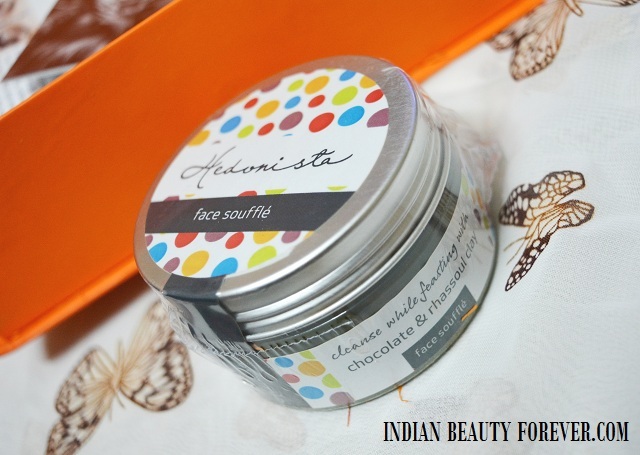 I could not figure out by looking at the packaging and name of the product if that was a face cream or a face mask but after reading the instruction, I get to know that it’s a face mask with organic oils, chocolate and clay which cleanses and nourishes the skin.I am looking forward to use this product soon. I like hand cream and have used a lot from various brand. This is very moisturizing when I tried it. I will use it. 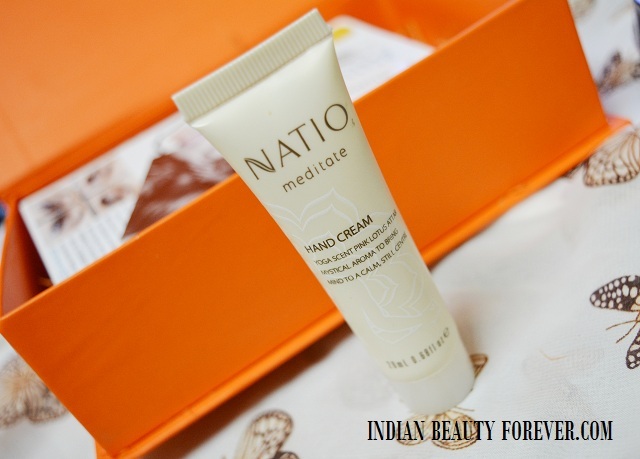 In fact, I have liked the Natio products so far. It smells good and fruit floral notes. I liked it and may try the bigger size. 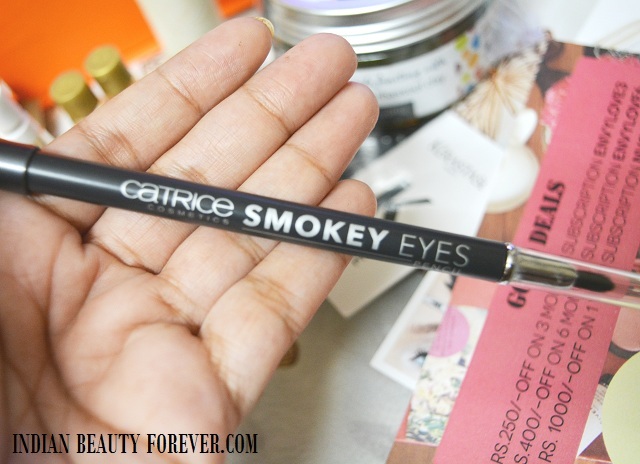 Another catrice product and that too an eye pencil. This is like a treat in this month’s My envy Box. I used it and loved the smudger at the other end of this pencil. So, overall, this month's My Envy box has given some really good samples and in short, it was a worth trying box that had definitely been a box of happiness. Have you subscribed for My Envy Box ? Which is the product you liked?